Minimalist in design with a nice play between steel, wood and glass in this intimate restaurant. 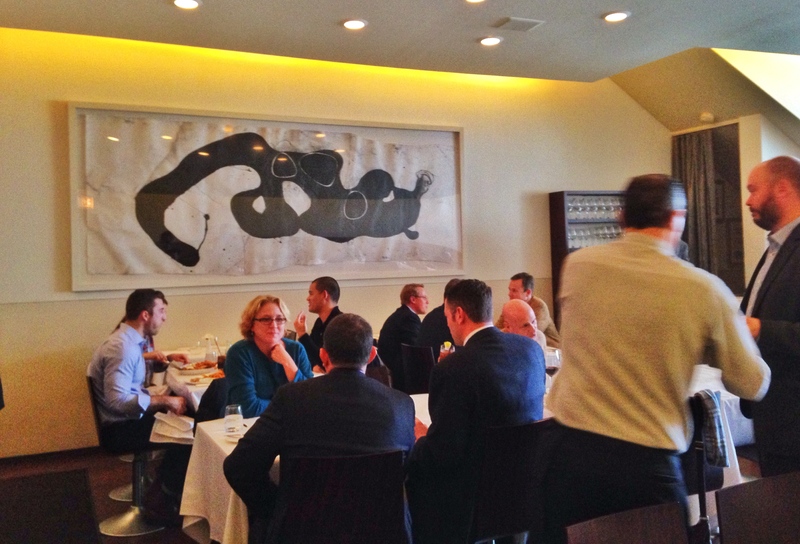 Having a Michelin star and winning many a James Beard Foundation awards does not make a cheap meal this is why I suggest the prix fixe lunch menu and this week the Restaurant Week menu for $22. Excellent service with immediate seating, jackets taken off our hands, hook for my purse and amuse bouche delivered to the table. 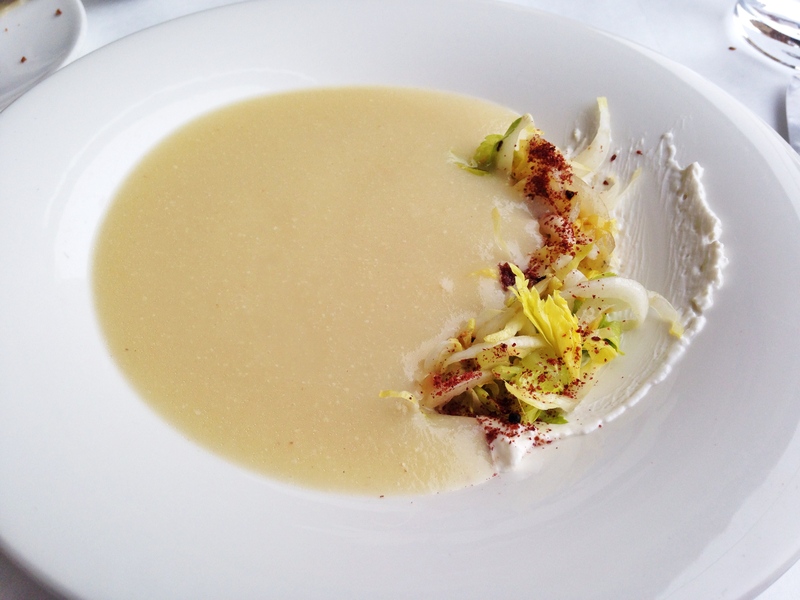 The celery root soup has a wonderful heartiness complements of the charred endive, a velvety crème fraîche and a dash of sweetness from the grapes and hint of tart from the sprinkling of sumac. 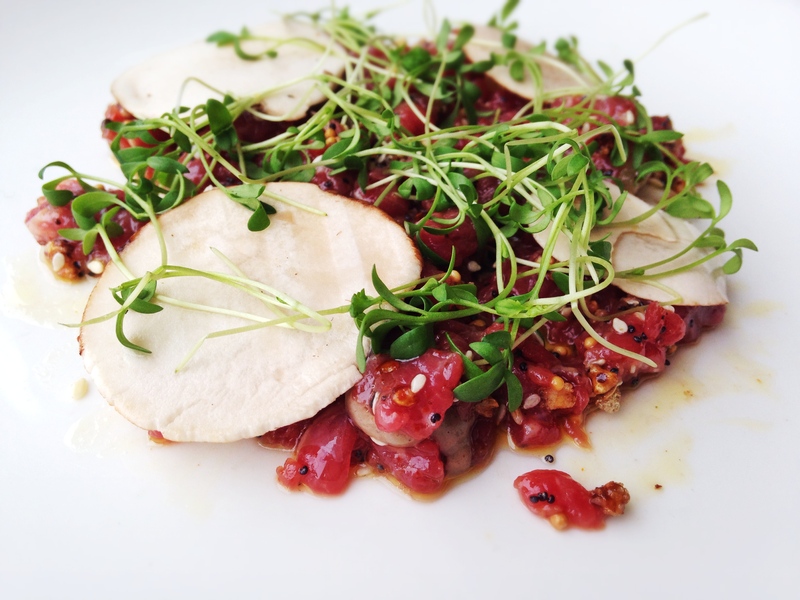 The dry-aged beef tartare is beautifully presented and almost part salad with smoked mushrooms, crispy grains, dried tomatoes and cress. The hangar steak was like butter. Literally, no knife required here I used my fork to cut delicate pieces of flavorful goodness. The smoked potato gnocchi was the stuff dreams are made of, discs of gold with a crispy outside and soft pillowy potato that melts in your mouth. Made only better dragging it through the dollop of sour cream and black garlic. 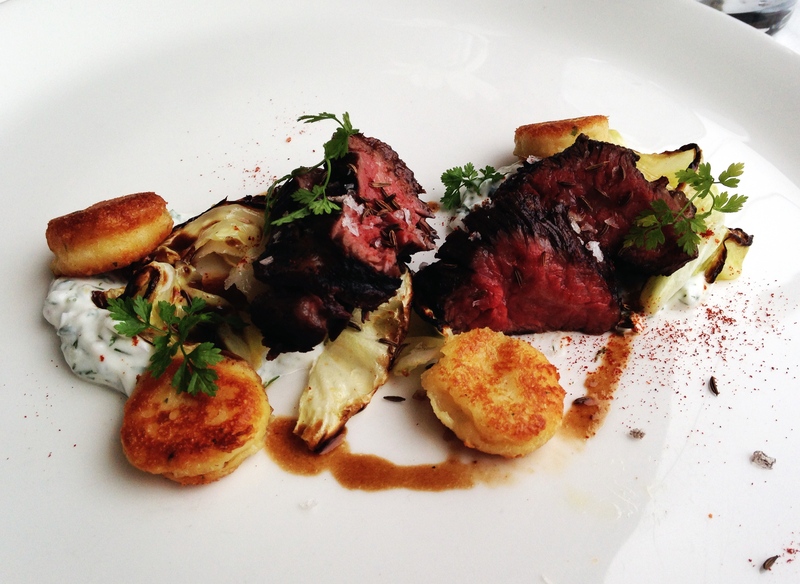 The texture added by the cabbage gives off a hint of sweetness after being charred. Pastry chef Dana Cree is a genius. Watch her create a one of her masterpieces. The winter coupe starts off with ripe peach flavor sorbet and then delivers you in the gooey butter cake that is impossibly delicious. Just as you recover from that you are hit with coconut crunch and finally finish off with sweet and tangy lemon curd. Highly advisable to eat all the layers at once. 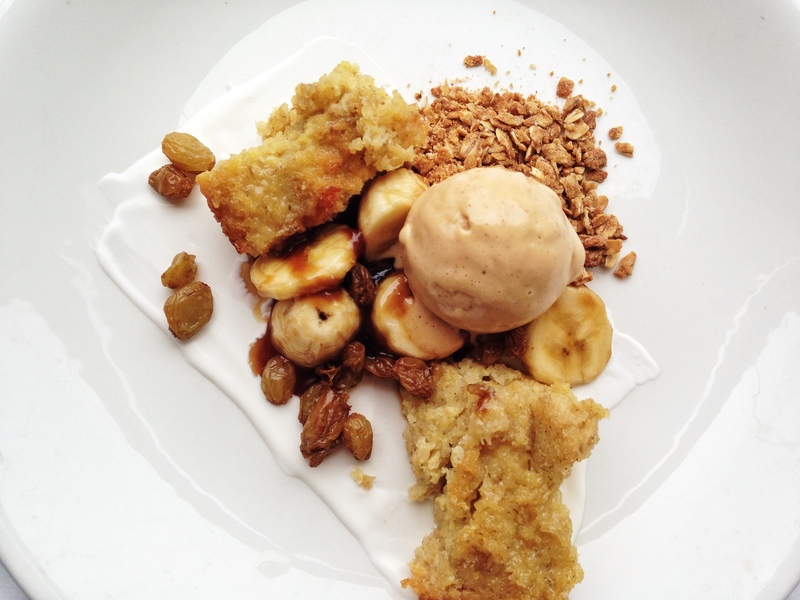 Oat bread pudding with bananas foster, raisins, granola, and cinnamon caramel ice cream. Perfect combination of texture and surprisingly not too sweet given all the ingredients. Lunch at Blackbird is great for a date, business meeting or taking your parents out to pay them pack for all those times they helped you out. Everyone will leave a little bit impressed and very satisfied.